A leading business group has accused the major banks of "highway robbery" for hanging on to a proportion of past official interest rate cuts by the central bank. The Australian Chamber of Commerce and Industry (ACCI) argues that in the Reserve Bank of Australia's (RBA) most recent board decision easing global conditions are seen to have narrowed lending risks and caused more favourable wholesale funding costs. "Keeping a portion of a customer's interest rate cut on an ongoing basis when the problem is not ongoing is highway robbery," the chamber's chief executive Peter Anderson says. "As the global situation has changed so should the price they now charge." ACCI is launching a national push for an immediate independent interest rate of at least 25 basis points by the major banks to be passed on to small business owners. He said ACCI's latest business expectations survey released on Tuesday found no signs of weakness in trading conditions abating. Mr Anderson also noted comments by Commonwealth Bank of Australia chief executive Ian Narev after reporting another record profit. 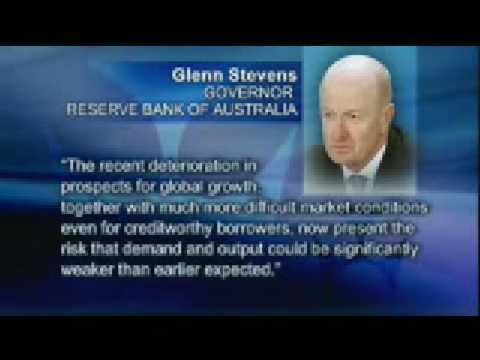 "It is quite plausible over time that moves could be independent of any move by the Reserve Bank," Mr Narev has said. Financial comparison website RateCity calculates that since June 2011, the official cash rate has dropped 175 basis points but the average standard mortgage variable rate for example has only declined by only 133 basis points.